See here for the film: https://www.youtube.com/watch?v=XkJUMuK_pRA. A HPANWO TV roving review of the new film Viceroy's House staring Gillian Anderson, Michael Gambon and Hugh Bonneville. 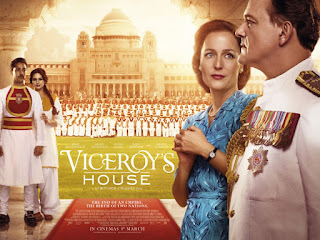 It is written by Paul Mayeda Berges and directed by Gurinder Chadha, see: http://www.imdb.com/title/tt4977530/. See here for further explanation why the original version of the film was deleted: http://hpanwo-tv.blogspot.co.uk/2017/03/more-copyright-trouble.html.